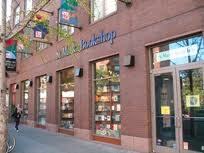 Together we have scored a victory for the St. Mark’s Bookshop and the Lower East Side! Cooper Union has agreed to a new one-year lease to reduce their monthly rent to $17,500. The bookshop has a $2,500/month rent reduction and Cooper Union will forgive back rent owed. This is a $37,500 win for the bookstore. We won through a lot of organizing — including your signature among the 44,128 on our online petition. Thank you! The organization that led this fight — the Cooper Square Committee – knows that bookshops are a crucial part of our beloved Lower East Side community. We have organized for over 52 years to ensure that the Lower East Side remains an affordable home to the diverse multi-ethnic community of working people and artists that has continued to draw so many people to it. This message was sent to Stephen by Joyce Ravitz from the SignOn.org system. MoveOn.org Civic Action sponsors SignOn.org, but does not endorse specific campaigns or the contents of this message.